Various coloured bands of light slide along the dark surface of an oblong, rectangular projection screen, crossing each other, overlapping, mixing briefly, stretching, and then vanishing. 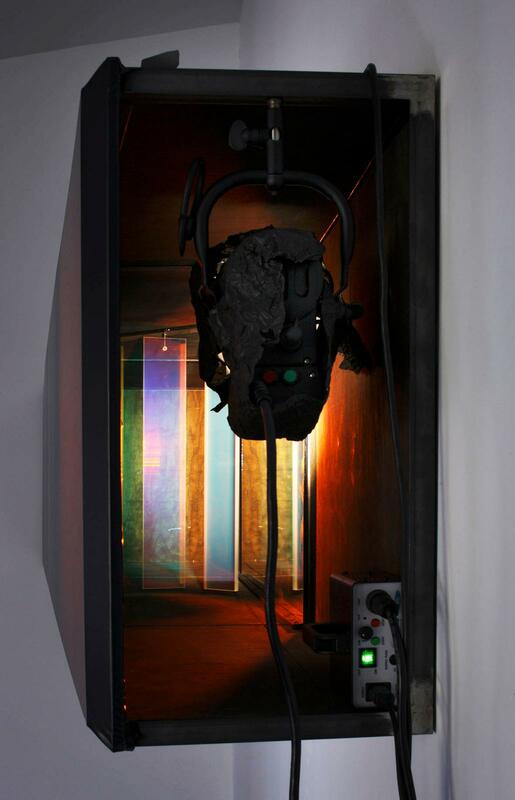 Behind the projection screen, three sections of colour-effect filter glass turn on their axes between the screen and a mirror. At one end of the construction, a white spotlight shines on the spinning filter glass sections, casting dynamic shapes of light in various hues and intensities onto the screen. 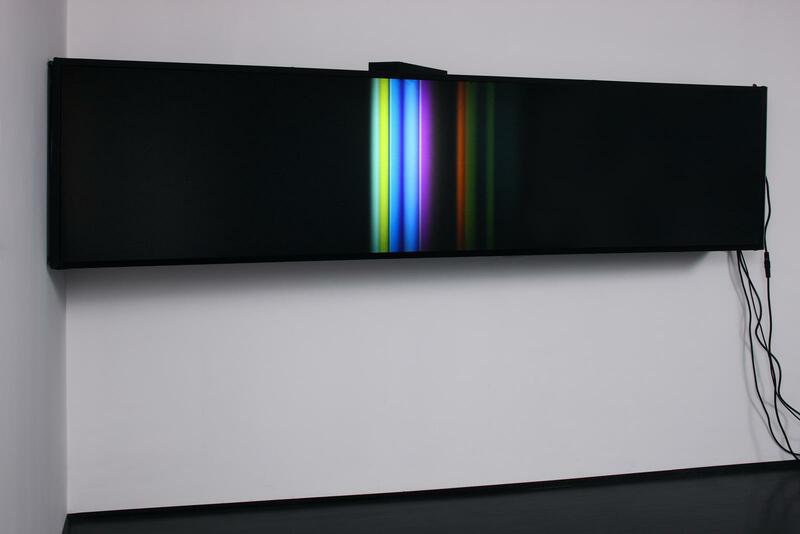 The space between screen and mirror is open near the spotlight, allowing the coloured light to escape the confines of the work and appear on the surrounding walls and inviting viewers to investigate the basic mechanics that produce the work’s complex optical effects.